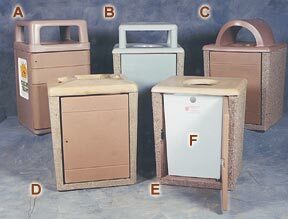 Attractive, low maintenance and most importantly functional steel-reinforced concrete trash receptacles great for encouraging litter free areas. 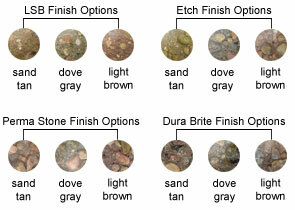 Available in a variety of colors and finishes to fit-in perfectly with just about any location. Heavy-Duty weight concrete construction will act as natural deterrent to theft and vandalism. Optional rigid poly liners are available in both 36 gallon and 45 gallon capacities.